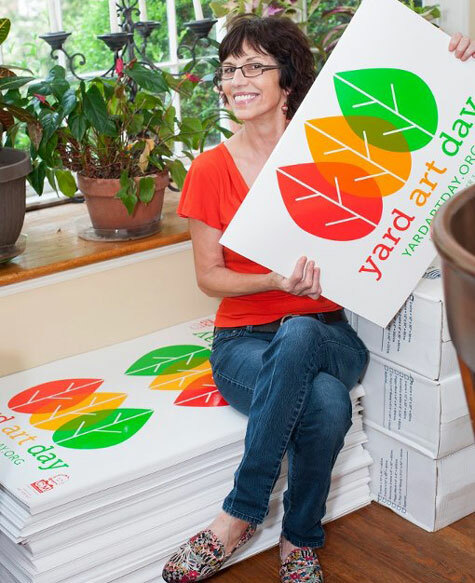 Creative force (and amazing photographer) Deborah Triplett launched Yard Art Day as a way to celebrate the artist in everyone, a chance for those of us who don't normally make or exhibit art to create and display our work in the most public of our intimate spaces -- our front yards. With the support of the Quasimodo Project, the Yard Art Day project will have the attention of DNC visitors and locals alike on Monday, September 3, 2012 - Labor Day and the first day of Charlotte's Democratic National Convention. Over 200 households and business have put themselves on the map with the promise of displaying art great and small. 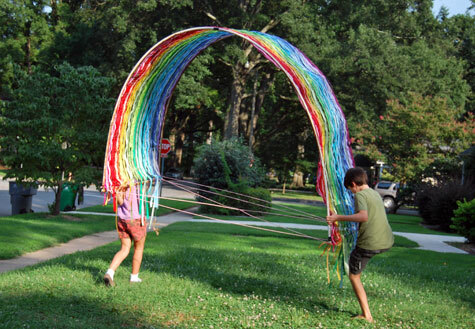 Interest on the Yard Art Day facebook page promises those numbers could grow. We are looking foward to a fun day of touring the city's new public art! Our contribution to the effort? 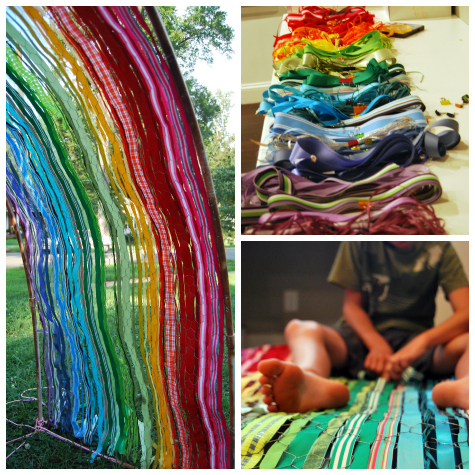 We wove a rainbow from pvc pipe, chicken wire and over 300 yards of ribbon that was shamefully cluttering our studio, remnants of old projects. 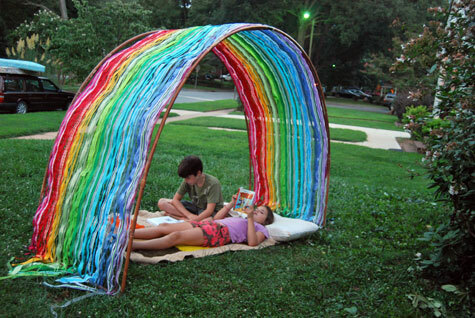 The design and fabrication was a family affair, led by 10-year-old Gabe. The structure, should it survive 2 weeks in the elements, will later be incorporated into our backyard play area. Even if it doesn't survive, the excercise and the short-lived product gave us a beautiful opportunity to create. Thanks, Deborah!